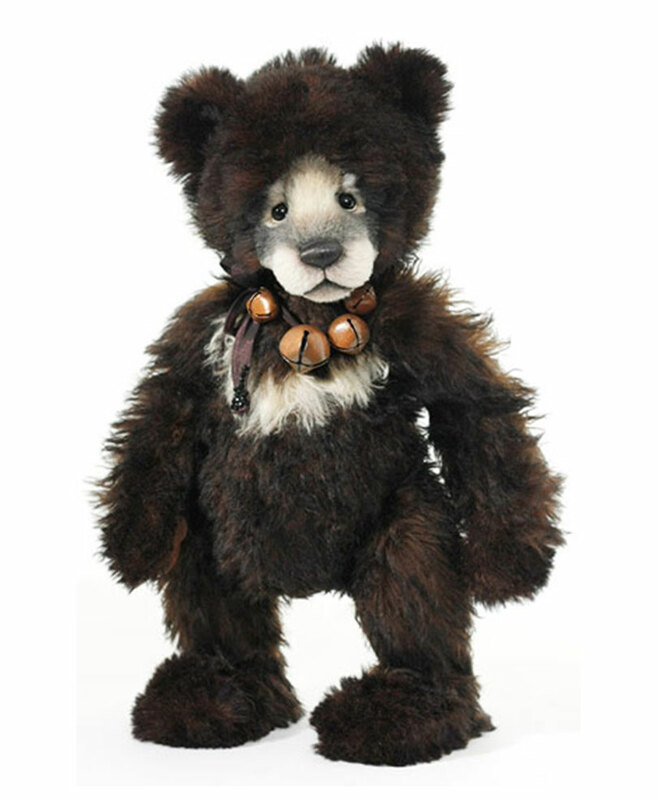 He is a smallish standing Isabelle Bear from the 2018 Collection. 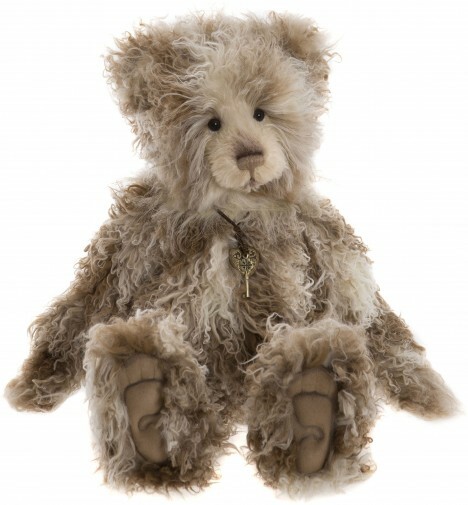 He has sparse caramel coloured mohair on his body and head, with a slightly darker sparse mohair on the arms, legs and ears. The fur has been thinned out on the paws, so you can see the stitching. 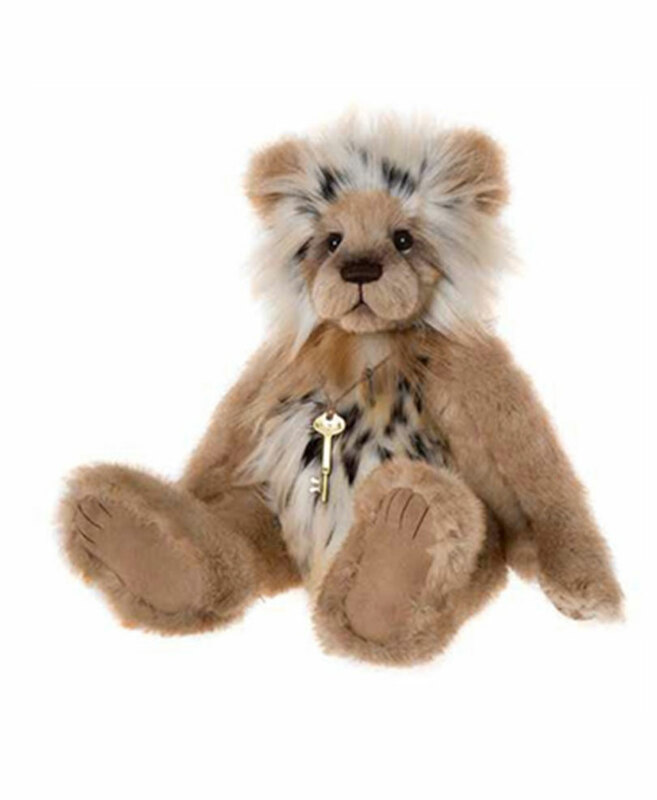 He has cute, fluffy ears, albeit quite sparse, has a small hand-stitched nose that matches the fur on his arms and wears a key pendant. 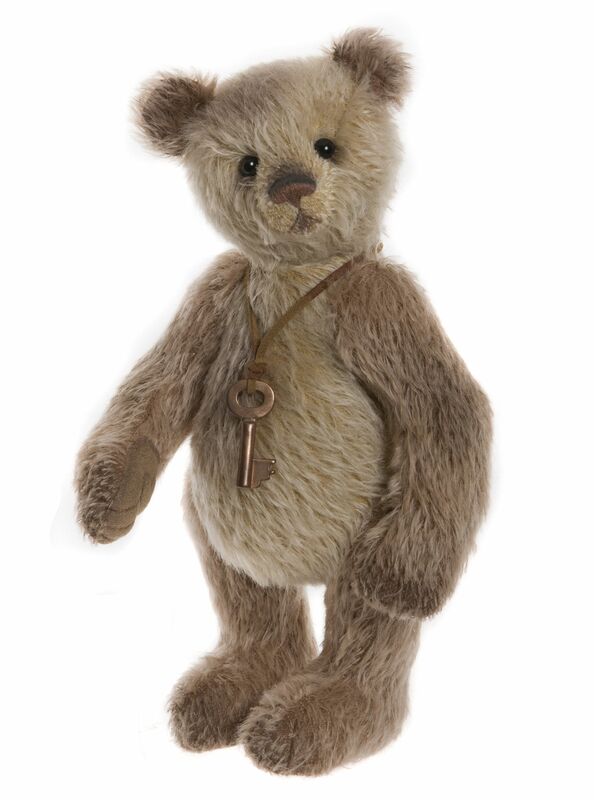 Arthur is definitely a bear to consider, as standing bears add a different dimension to a collection and one of his size doesn’t take up much room!